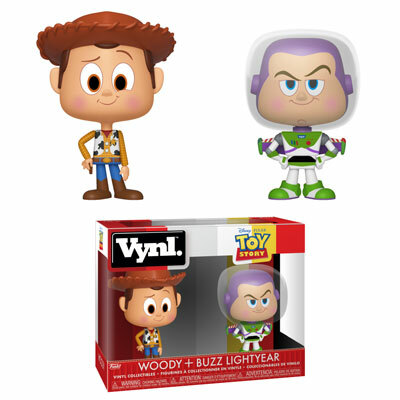 Home News Previews of the upcoming Toy Story Woody and Buzz Vynl. Set Released! In what may be the cutest collectible revealed today during the London Toy Fair Reveals, the new Toy Story Woody and Buzz Vynl. Set is set to be released very soon! The new set features Woody and Buzz in the classic Vynl. style. Fans can pre-order the new Vynl/ Set now on EntertainmentEarth.com. Previous articleNew SuperCute Plush from Disney’s Hercules and Dumbo Coming Soon! Next articlePreviews of the upcoming Gears of War Pop! Vinyls Released!